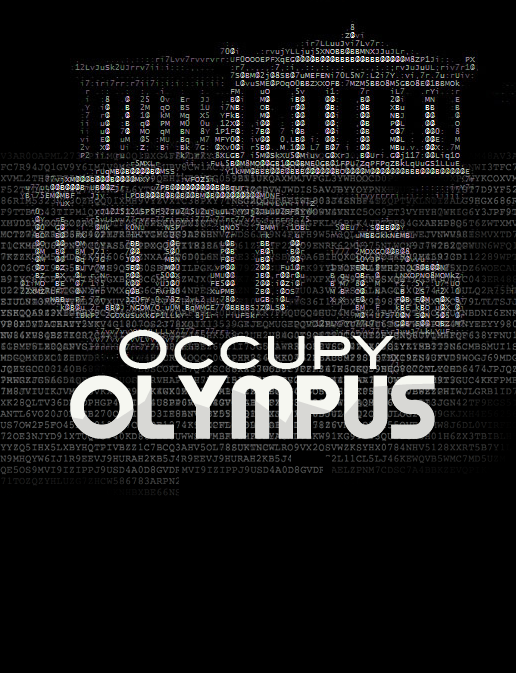 Occupy Olympus is a transmedia installation, winner of the Beaumarchais-SACD award in the “I Love Transmedia” expo in October 2012. Created with 11 other ENJMIN students for the Transmedia Immersive University, it was presented from October 18th to October 20th at the CNAM in Paris. - the 99%, enduring the consequences of this endless struggle, trying to make their way to the home of the gods and occupy Olympus. The installation takes the form of an asymetrical multiplayer video game : the 99% cooperate to reach Olympus in a hidden words/adventure gameplay while the 1% play against eachother in a game of trading unaware of the consequences on the rest of the world. - 4.1 Sound Design for the exposition room. - Conception of a blended ambiances and feedbacks system for both sides of the experience. - Focus on the readability of audio feedbacks in an atypical context (same sounds heard by both teams) by using spatialisation and caracterisation. - Original and demanding art direction combining greek mythology and the world of finance.